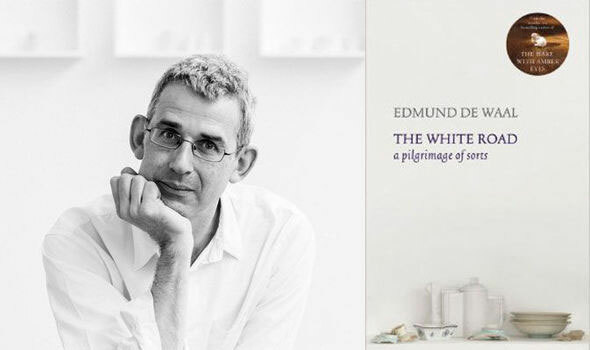 As a birthday treat for myself I got tickets for a talk by Edmund de Waal on his new book about porcelain, entitled ‘The White Road’. He was talking at my son’s school, so I dragged my son along for a rare injection of culture in his teenage world. He was superbly disinterested at the prospect of going, but perked up slightly when he realised that de Waal was the dad of one of his fellow pupils. I didn’t know quite what to expect. I had enjoyed ‘The Hare with Amber Eyes’, de Waal’s first book which traced the history of a cabinet of Japanese ‘netsuke’ back through its ownership by various members of his family. However, where that book was cleverly woven through with an intriguing family history and insights into de Waal’s own obsession with collecting, I worried that a history of porcelain might be a bit heavy going and niche for a disinterested teenager! 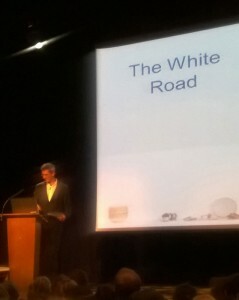 He started the slideshow with a photograph of his studio wall, upon which he had written a list of locations around the world where he thought his journey might take him in researching the origins of porcelain. A flurry of images over the next hour traced that pilgrimage from the Jiangxi province in China, to Versailles, to Dresden, to Cornwall, to the South Appalachians, where he took his own teenage son to see the diminished kaolin deposits in the Cherokee National Forest, and to the porcelain works at Dachau. It was a breathless journey that took in various curious stories of eccentrics, innovators, craftsmen and collectors, and we all just about stayed on board for the ride. 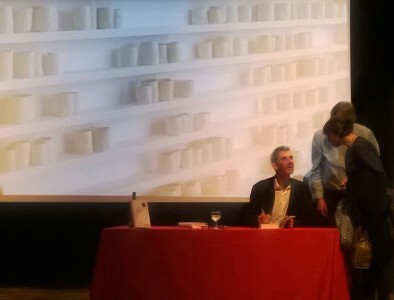 There was a book-signing at the end, but when I saw the enormous size of the tome on sale to those who hadn’t already obtained a copy, I reconsidered the purchase. In that critical moment, I’m afraid I reverted to my own form of teenagerism, and thought: enough porcelain for one evening!